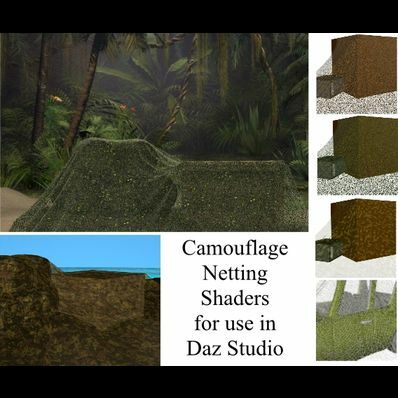 Meshes and netting which can be used as camouflage netting for tanks etc. There are different colours of camouflage plus 3 different sizes of plain mesh which can have any pattern or colour added in the Surfaces Tab. I used a free dynamic sheet to drape over some boxes etc and then added the camouflage shader to it. Hope you can find a use for them. THANK YOU! Very useful ! This will come in handy. Thanks! This is going to come in handy thank you so much! !